Modern space adventures crafted by a new generation of Grand Tradition science fiction writers. Smart, readable, and engaging stories that take us back to a time when science fiction was fun and informative, pithy and piquant—when speculative fiction transported us from the everyday grind and left us wondrously satisfied. 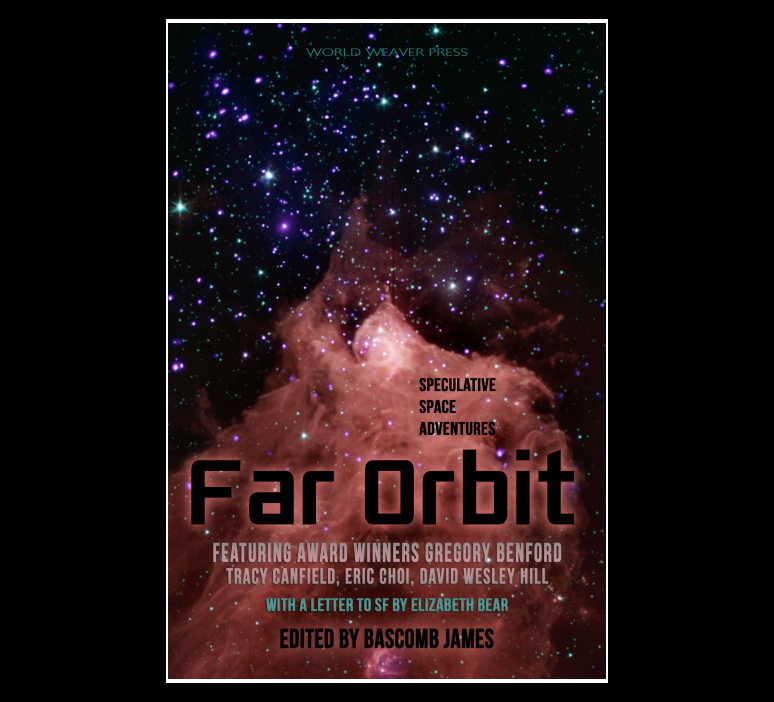 Showcasing the breadth of Grand Tradition stories, from 1940s-style pulp to realistic hard SF, from noir and horror SF to spaceships, alien uplift, and action-adventure motifs, Far Orbit’s diversity of Grand Tradition stories makes it easy for every SF fan to find a favorite. A Game of Hold’em by Wendy Sparrow – When Moses shows up for a friendly game of Texas Hold’em at a Baruvian law-holder’s place, he discovers it won’t be friendly, and Martice lives outside the law. Even the game is rigged–the scheming dealer is a mute slave girl who, this time, has nothing to lose if she skews the game. Moses decides to play deep, go all in, and leave with exactly what he wants. As the cards hit the felt, will the nice guy from Texas know when to hold’em and when to walk away?